This is the top champagne from Gallimard. There is ripe fruit and honey on the palate and a long persistent finish. It is incredibly good! Vintage 2011, exclusively elaborated with Chardonnay and Pinot Noir from the terroir of Les Riceys. 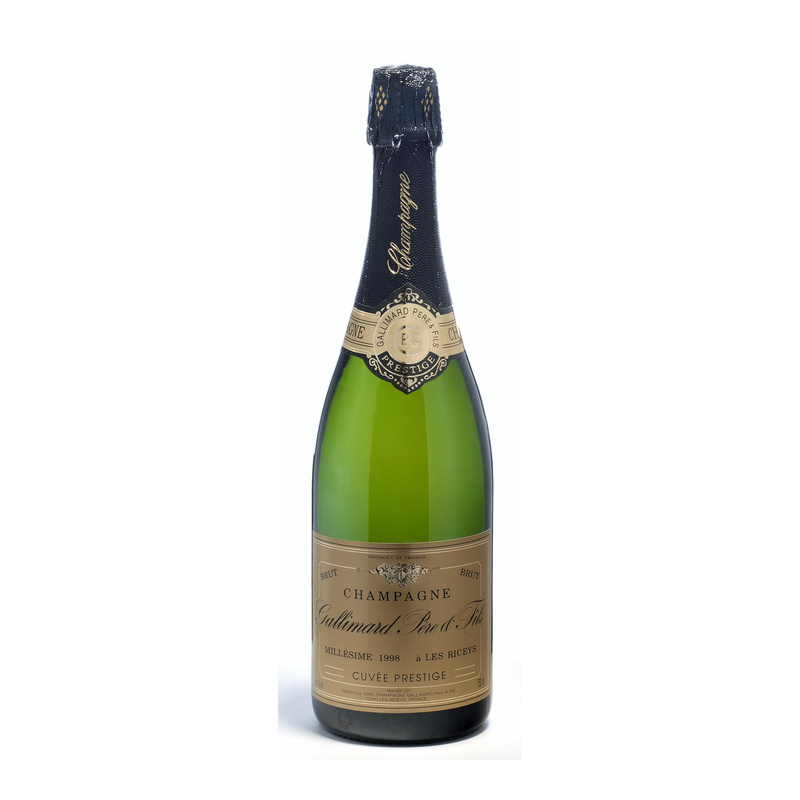 This prestigious Champagne have been aged during 4 to 5 years in our cellars. Four years ageing in our cellar have given it a beautiful coppery gold and a fine mousse; aromas of white flowers, lemon and toasted bread. Perfect for the celebration of the end of the years, it’s also very good for the aperitif, and during the meal with fish or white meats.